This article is a follow-up to the “Idaho libraries shake up the maker movement” article in the Fall 2013 Idaho Librarian. Library staff members who participated in the first year of “Make It at the Library” were surveyed about their experiences implementing the maker project and the changes they’ve seen as a result. Their responses have been incorporated below. 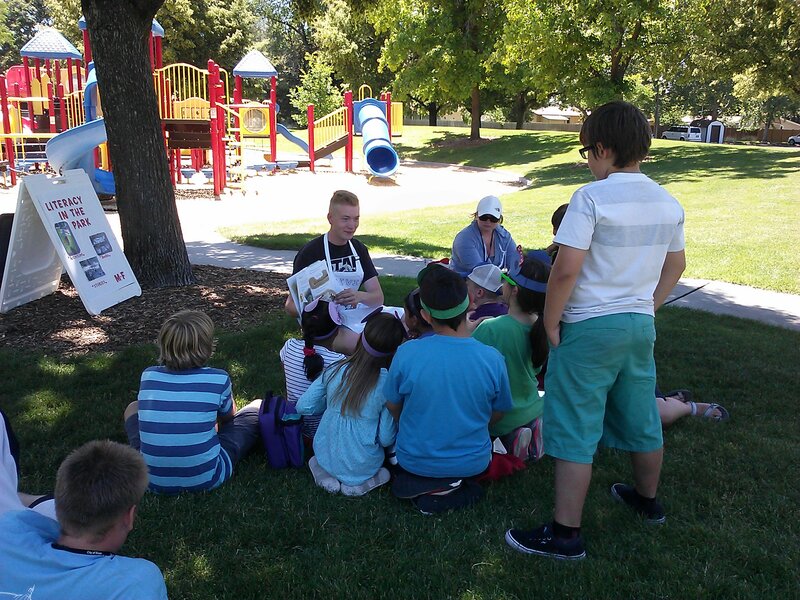 In early 2013, the Idaho Commission for Libraries (ICfL) developed the “Make It at the Library” pilot project to implement a maker culture in public libraries across Idaho. It was a successful and exciting first year. We worked with five libraries—Ada Community Library; Community Library Network; Gooding Public Library; Meridian District Library; and Snake River School Community Library—to embrace “making” and push the boundaries of programming with tweens and teens. Each library exceeded every expectation and demonstrated innovation, creativity, and drive in the implementation of the project. Through their maker programs, the libraries served 3,585 teens/tweens and 1,120 families, and engaged 4,650 people through outreach events. As they nurtured a maker culture in their communities, the five libraries created 18 partnerships and hosted 66 programs with these partners. These successes made us even more excited to open up the opportunity to libraries for a second year. In year two, we plan to share best practices, replicate the project with new libraries, use pilot library staff as mentors, and continue to expand programming in the pilot libraries. Libraries from the first year of the project have committed one new staff member to attend trainings with the six new libraries selected from eleven applicants to participate in the second year of the project: Aberdeen District Library; Buhl Public Library; East Bonner County Free Library District; Jerome Public Library; Portneuf District Library, Chubbuck; and Twin Falls Public Library. Each of the new libraries has committed two staff members to participate in the year-long project. The first workshop took place February 24-25 at the Commission and focused on developing a foundational understanding of the maker culture and the design process, along with exploration of construction, simple machines, engineering, and architecture. (See a newspaper article and brief news video of the workshop.) A two-day training in May will focus on robotics, and a final two-and-a-half day training in November will cover 3D design, 3D printing, and e-textiles. We are leveraging feedback from first year libraries to build on successes, learn from their challenges, and allow other libraries to replicate the Make It project. Library staff comments demonstrate exciting shifts in library use, library users, and benefits to the community as a result of the project. Staff report patrons are coming in more frequently, meeting with others, staying longer, jumping into more hands-on activities, delving into exploration, teaching others what they’ve learned, collaborating on projects, using problem solving skills, working together as families, and showing increased interest in technology and STEAM-based (science, technology, engineering, arts, mathematics) activities. People “routinely bring in projects that they are working on, from remote-controlled cars that they are modifying to arduino-controlled devices that they have created,” and use the library’s 3D printer and Fischertechnik® engineering kits to design and create. Tweens/teens are more engaged, use the library as a place to explore and work on longer-term projects, take ownership in the maker area, and take pride in their projects and the challenges they’ve overcome. Many makers are truly connecting with the library for the first time. Plus, community members are volunteering to help with Make It programs! The “Make It at the Library” project has given libraries the opportunity to create a culture and place that offer a broadened experience. Whole families engage in activities, “strengthening family bonds which in turn can keep parents involved in their kids’ lives and interests over the long-term, thus increasing their likelihood to finish school/go on.” Participants have been observed teaching each other what they have learned. Libraries are focusing more on STEAM program offerings and incorporating math and science into storytimes. Some teens have indicated that they now want to participate in quality STEAM-related courses at school. Some individuals who have had their first practical exposure to computer programming at the library are now enthusiastically writing programs of their own design for arduino devices. Other participants have learned fundamental engineering principles such as gear ratios and leverage by engaging with Fischertechnik® engineering kits. The maker tools also have increased awareness and interest in the community. Patrons see the libraries as a place that offers resources they can’t get anywhere else, both because of the actual materials (robot kits, engineering kits, 3D printer, etc.) and how libraries approach their maker activities. With the 3D printer at one library, students in the drafting class are learning how to print their own designs. One student is printing a miniature rocket he has been working on for several years. ICfL staff looks forward to watching the learning, the making, and the creativity happen in year two as the pilot libraries expand and enhance their maker programs and the new libraries begin offering new programs to their communities. Watch for future articles, where we will take a closer look at successful “Make It at Your Library” partnerships and projects. If you would like to read more about what we are doing in Idaho, please visit us at the Idaho Commission for Libraries’ website at http://libraries.idaho.gov/make-it-idaho . To follow our progress please *LIKE* our Facebook page: https://www.facebook.com/MakeItIdaho. 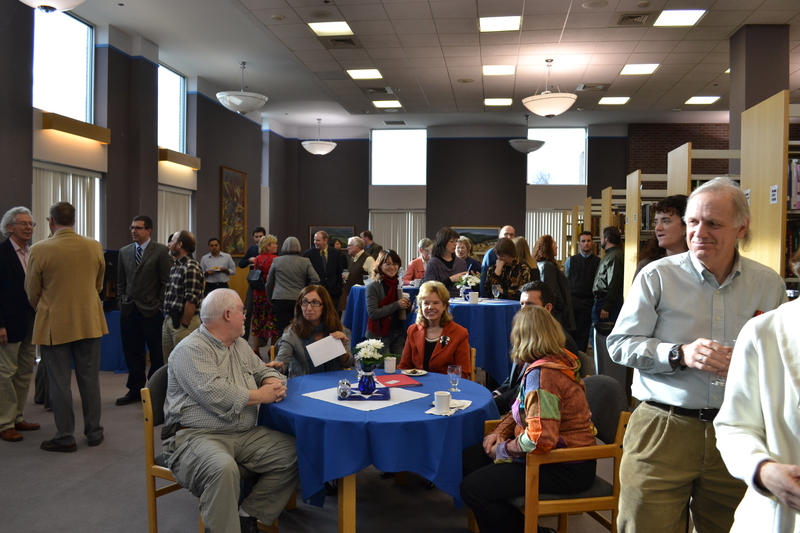 The “Make It at the Library” project is made possible in part by a grant from the U.S. Institute of Museum and Library Services and a grant from the Micron Foundation. As ILA Academic and Special Libraries Division members know, a move begun in recent years to create a state chapter of the Association of College and Research Libraries. Previous division leaders Kim Leeder and Jenny Semenza began exploring the possibility of applying for chapter membership during their involvement with the division. A survey of Idaho academic librarians indicated enough interest in chapter creation to pursue the matter. Recently, a letter detailing the some possible options for creating a chapter was sent members of the division, and further discussion of these possibilities took place at the division’s annual meeting in Pocatello. This article’s purpose is to share information related to chapter membership with other members of the Idaho library community, especially academic librarians who may not be members of ILA. It is not mandatory to be a national ACRL member to join a state chapter. Holding an academic library position is not required for membership in the chapter. Chapter creation need not result in any extra dues for members. The election of officers separate from division officers is not required. ACRL requires that state chapters be formed in one of two manners: by becoming an independent non-profit entity or by affiliating with a state library association. During 2012, the Idaho Library Association Board was informed of the division’s interest in pursuing chapter membership and asked if it would support a chapter affiliation with ILA. Board members expressed interest in the idea, and asked for a formal proposal from the division once decisions about the potential chapter’s structure were made. For reasons related to the work required to form a separate non-profit, the division’s past-chair, current chair, and current vice-chair favor an affiliated chapter rather than an independent chapter. Division members present at the ILA Annual Meeting on Oct 5, 2012 in Pocatello also supported this arrangement. ACRL gives state chapters the ability to make independent decisions regarding dues and membership requirements. State chapters can codify these decisions in member approved by-laws. Regarding dues, state chapters may but do not have to charge additional dues beyond those required by the state library association. For comparison, Washington’s chapter (which is not affiliated with their state association) charges national ACRL members $5.00 for state chapter membership and those not members in the national ACRL $10.00 for state chapter membership. Oregon charges $10 for state chapter membership on top of the regular Oregon Library Association dues. Montana, however, does not charge anything for state chapter membership after members have paid their Montana Library Association dues. Regardless of how dues are decided, the ILA Board has offered to create a separate bank account for a chapter, which would be administered by the board’s treasurer. Membership requirements are likewise left up to the discretion of the individual state chapters. It is not required for all state chapter members to be members of the national ACRL although at least one member of the division must be a national member. State chapters do have the ability to require membership in the state library association (if the chapter is affiliated with the state library association), and Oregon and Montana chapters do this. It is not required for state chapter members to be academic librarians although some chapters such as Montana’s make this a requirement. With regard to chapter leadership, it is possible but not required that the division chair and vice-chair also act as chapter chair and vice-chair. (Should a division chair or vice-chair be from a special rather than an academic library, it might make sense to have a separate chapter chair for that particular year). In order to make decisions about a potential chapter, division leaders have set up an online survey to gauge preferences. To complete this survey please visit: http://www.surveymonkey.com/s/Y6BZJ7Z. The survey is open to all librarians, regardless of ILA membership status or division status. Should enough librarians express an interest in forming and joining a chapter, the division’s past chair, present chair, and present vice-chair will draft a formal proposal to take to the ILA Board. The proposal will make a recommendation for chapter structure as indicated by survey results. We would like to thank you in advance for taking the time to complete this survey, as we look forward to proceeding with possible chapter creation. For questions or additional information, please contact Rami Attebury at rattebur@uidaho.edu, Jeremy Kenyon at jkenyon@uidaho.edu, or Marilia Antunez at mariliaantunez@boisestate.edu. Most of us know the basics of a healthy body lifestyle: good nutrition, plenty of rest and exercise, no smoking. But what is a healthy brain lifestyle? Co-presenter Stephen Ristau introduced the concept of libraries as brain health centers, provided numerous examples of library activities that support the above areas, and led participants through an exercise to identify outcomes, possible activities, potential partners, and evaluation methods for each of the brain health areas. ICfL staff will explore ways the Commission can help develop the concept throughout the state as part of its Mid-Life Adult initiative which focuses on programming for adults 50-65 years of age. The morning session of the presentation was archived and is available at: http://libraries.idaho.gov/page/brain-health along with handouts distributed at the workshop and a summary of break-out sessions in each of the brain health support areas listed above. Contact Erica Compton or Sue Walker at ICfL for more information about Mid-Life Adults programs sponsored by the Commission such as VolunteerMatch or NextAvenue.